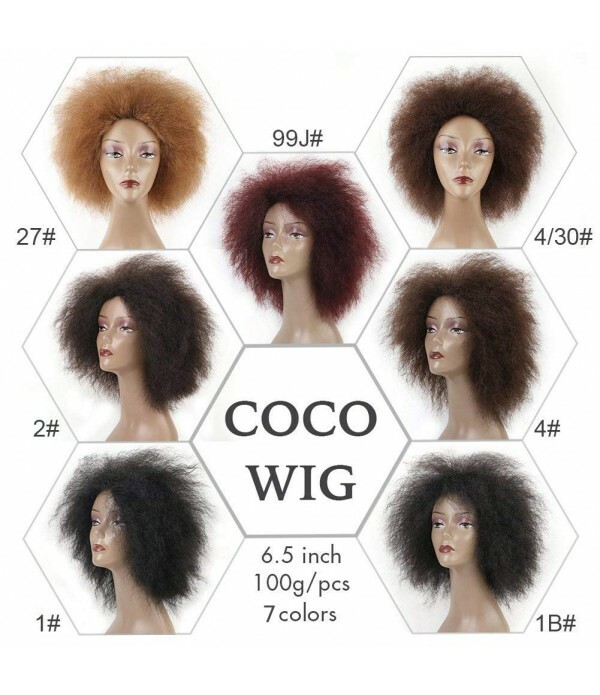 6.5 Inch High Quality COCO Synthetic Hair, 100 g/pcs, 7 Colors optional.Look Natural and Touch Soft, Easy to Wash and Care, No Tangle, No Shedding.There Are 2 Adjustable Straps Inside the Wig, and Breathable Rose Net, Which can Fit Different Head SizeYou Can be Use It for Daily Use, for Fun, Theme P..
Material: Grade 8A High Quality 100% Virgin Remy human hair.Style: Curly Weave Human Hair, Spring Curl Lace Closure.Hair Color: 2 Tone Ombre Color, T1B/4#, As shown in the picture. 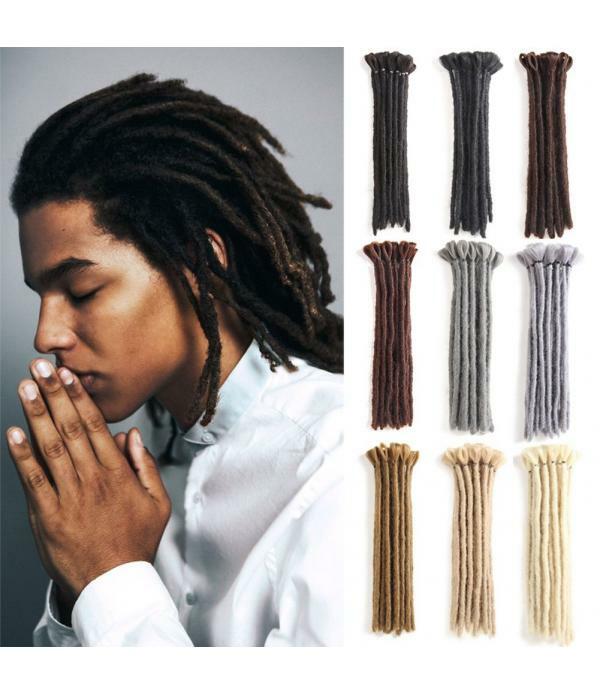 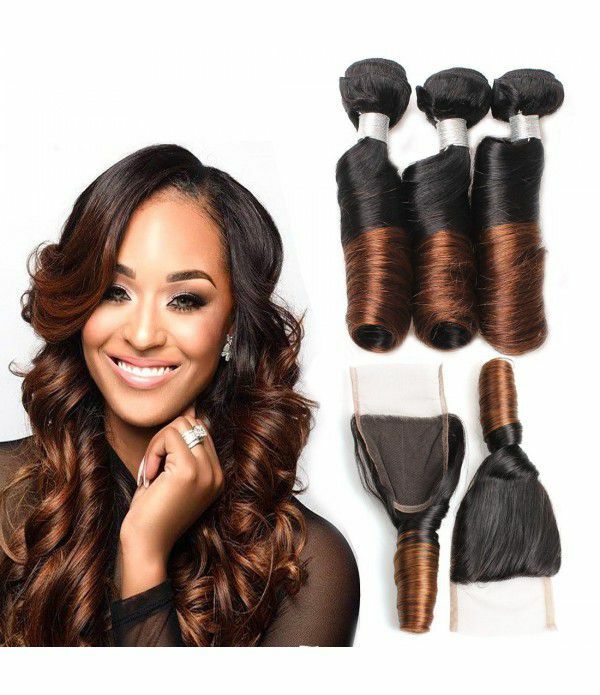 Features: Can Be Dyed and Bleached, But It's Better To Find Someone Professional.Merit: .. 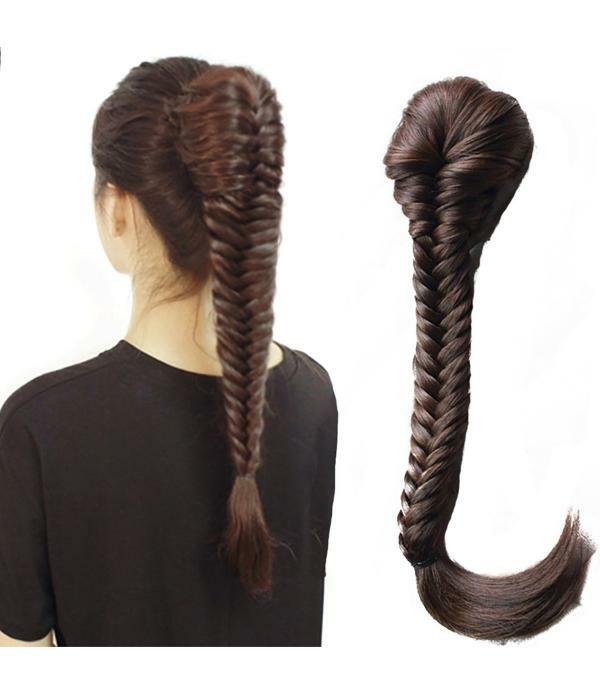 This fishtail braid ponytail features adjustable drawsting with two small clips, so it clips in perfectly over your own ponytailMade by 100% high quality Synthetic fiber, it looks, moves and feels like real hair with affordable priceApprox. 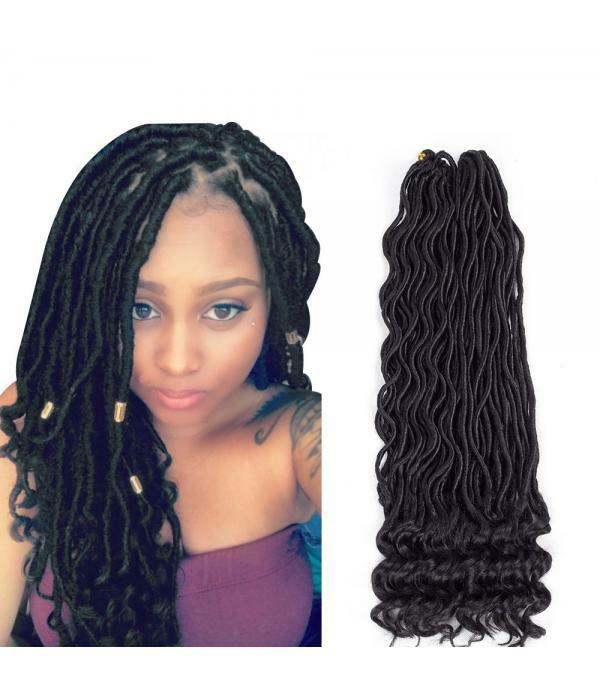 Length: 19-20 inches. 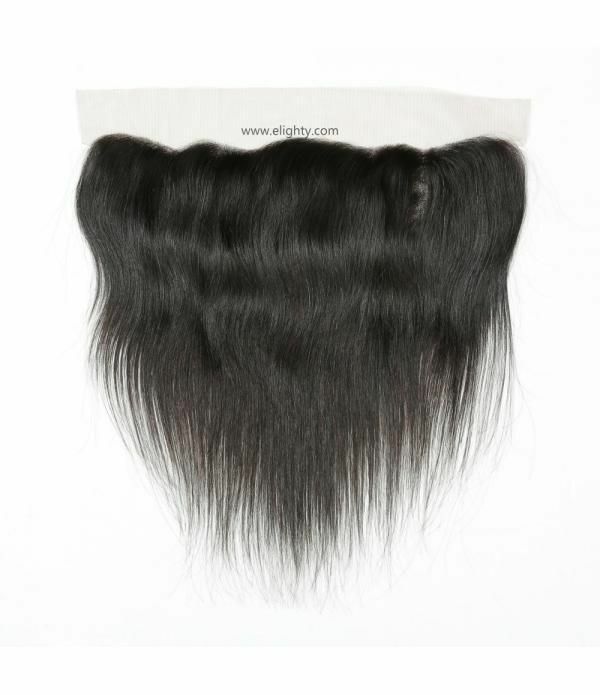 Approx.Weight: 4-5 OZ (120-130 Grams)..
Special Offers Now! 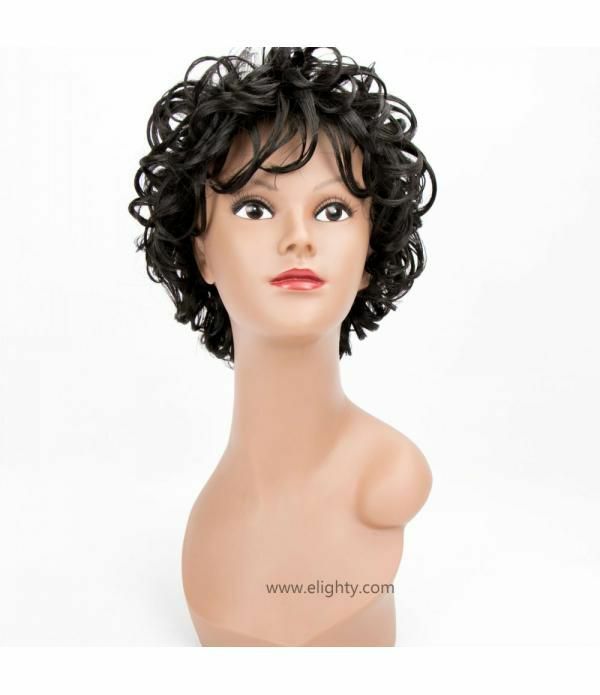 Will Increase the Price Soon! 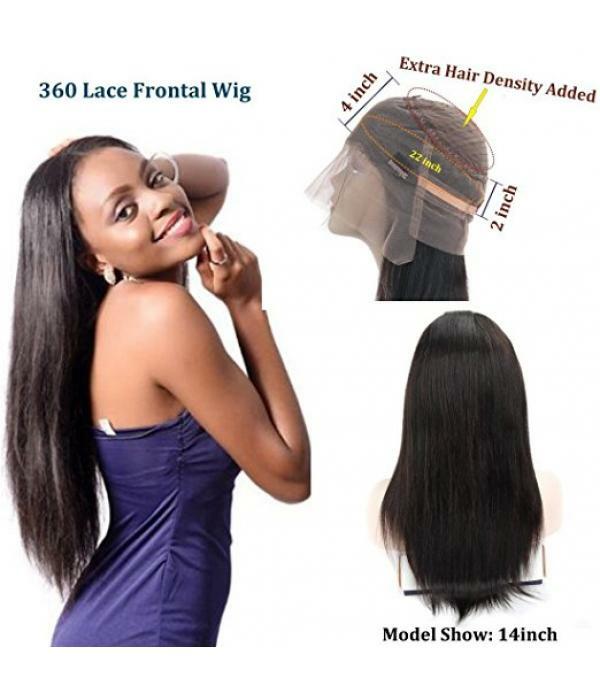 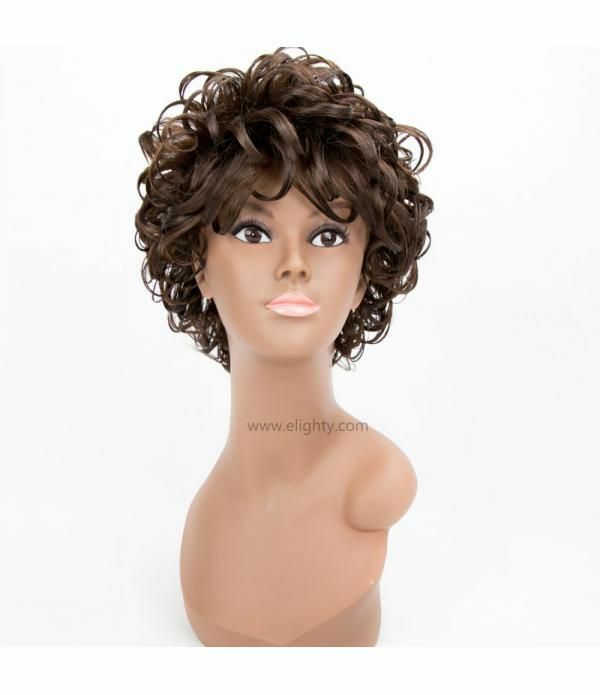 Please Don't Miss It 360 Lace Frontal Wig 130% Density Lace Human Hair Wigs For Black Women Straight Cap Size:Medium Cap Available with Adjustable Strap,360 Lace Frontal With Weft ..